INDIANAPOLIS — An Indianapolis family will be able to see the Indianapolis Colts after they were defrauded out of hundreds of dollars in a ticket scam last weekend. Shaun and Tiffany Martinez tried to buy tickets on Craigslist for the Dec. 16 Colts game. Once they sent the $300, the seller stopped responding. But after an RTV6 viewer saw the story, he decided to help out. 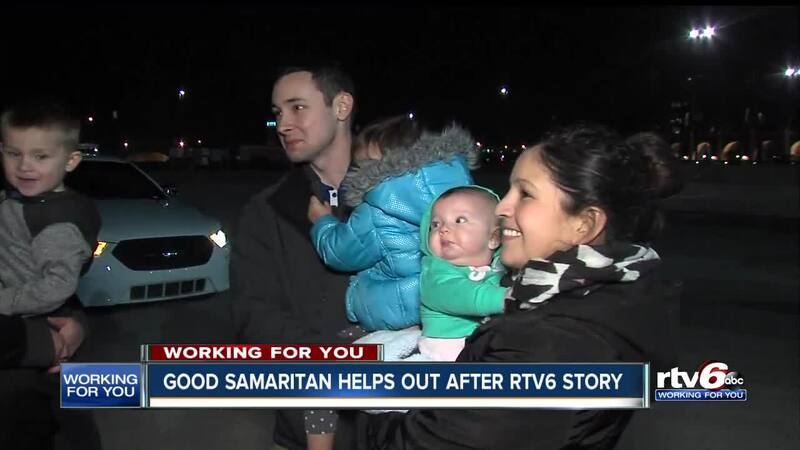 Steven and his wife, Katherine, called RTV6 to give the tickets to the Martinez family.